Victoria’s laws require that every driver or rider on Australian roads must have Compulsory Third Party insurance (also known as CTP insurance or ‘green-slip’). CTP covers your liability and the liability of anyone else who drives your vehicle, for injuries caused to others in a motor vehicle or Motorcycle accident. Including this cover into every driver’s insurance provides a safeguard to injured parties, making sure they always receive the necessary compensation regardless of the rider’s financial situation while simultaneously protecting riders from expensive legal and medical costs that arise from accidents on the Australian roads. In Victoria, SA, WA, TAS, and the NT, Compulsory Third Party is automatically included in your registration fees however in NSW, ACT and QLD you have the option of choosing an Insurer. Victorian riders need to note that Compulsory Third Party or Green-Slip does not cover any damage to your vehicle following an accident. To cover against damage to your Motorcycle you would need to purchase a Motorcycle insurance policy. Depending of the level of protection you are seeking, there are options that will suit your needs – here is a quick guide of coverage options through Swann Insurance. 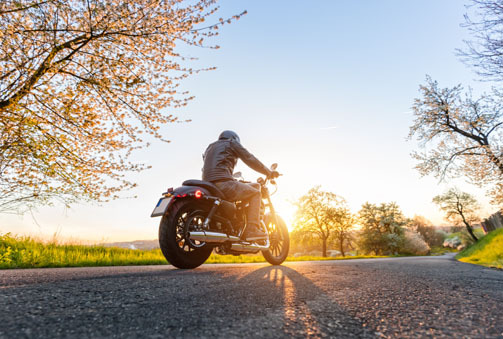 Our Comprehensive Motorcycle Insurance for Victorian riders, will cover your Motorcycle if it is accidentally damaged, stolen or burnt anywhere in Australia. Comprehensive insurance will also cover you for your liability to pay compensation for loss or damage to someone else’s property as a result of an accident anywhere in Australia. Third Party Fire & Theft insurance will cover your Motorcycle if damaged by fire or stolen. This also covers you for your liability to pay compensation for loss or damage to someone else’s property as a result of an accident anywhere in Australia. Third Party Liability insurance will cover you for your liability to pay compensation for loss or damage to someone else’s property as a result of an accident anywhere in Australia. Dirt Bike Cover is for unregistered or registered for recreational use Motorcycles only. This will cover you for fire, theft and 50% of the market value of your Motorcycle for accidental damage. If you are still unsure about Motorcycle Insurance cover options in Victoria, or other states NSW, ACT, QLD, SA, WA, TAS, or the NT, please contact us on 13 RIDE and chat with one of our friendly team members.